From culture to posture to social norms and personality innuendos tech has and is shaping our lives. My inner conspiracy theorist is screaming at me to run to a far away place (Wakanda) and dwell there until the grey in my hair returns to the gain in the sand. BUT its effects of fashion are far less pessimistic. The tell tale signs of two major cultural trends are begging to show themselves. Sustainability in fashion has been around for many years but like Global warming its popularity is based its 'newsworthiness'-as decided by millennials. As the fashion cycle runs itself over faster and faster with every Jenner/Kardashian birthday party, it is essentially racing itself to a league of instant gratification. The likes of ZARA, Fashion Nova and H&M are spurring on a rebellion in the form of sustainable and ethical fashion. While Westerns are enjoying the short lived whims of fashion trends and delivery that's faster than the decision of which two out of 746 selfies you should use in you 9pm post, the producers are suffering from decreasing quality of life. Yes FashionNova brought us Kylie's birthday outfits 12 hours from the time she posted it but how ethical was the labour behind it. Fast Fashion appeases the whims of the West whilst enslaves the makers- who are usually in the East. It's important to note that I'm specifically speaking about the Westerners as we know for a fact that the people in Indian and Chinese sweat shops are not wearing the R700 plain white T-shirt with the small black Nike tick crucified onto the top left shoulder. Sustainability is its rebellion. Technology in fashion will affect us in 2 main ways. 1. Effecting the fashion cycle- and thus the rebellion and move towards sustainable fashion. 2. Artistically. This aspect I think speaks for itself. 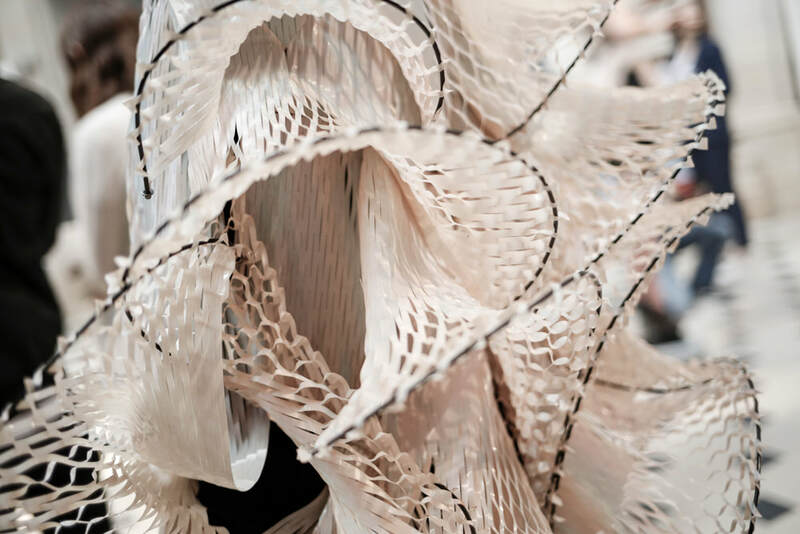 New technologies means new textiles and new ways to create new forms, the poster child for this being Iris Van Herpen who prints and digitally designs most of his form bent silhouettes. ​ 3. Culturally & 4. Economically. I've grouped these two together because I believe the one bounces off from the other. In short, technology gives us new things. These new things assimilate into our culture and thus changes it. This applies to the retail of fashion. New tec is changing our relationship and attitude towards buying clothes. Technologies you need to know! 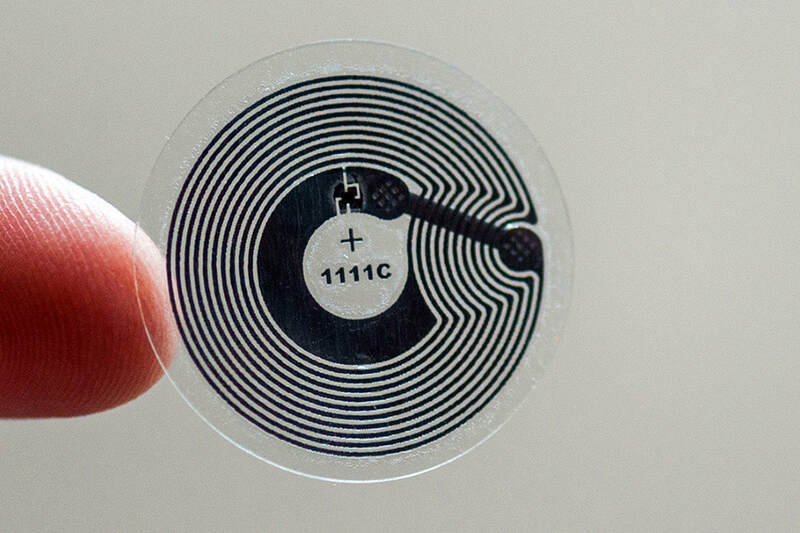 NFC (or Near Field Communication) has been a staple technology subtle developing in the most common areas of our lives. It's the tec behind wireless payments and it's future in fashion is a brighter than Kim's match neon green Lambo. Depending on how you view the glass- half full or half empty, some of the retail intentions are notably invasive. With unsolicited push notifications, pinpointing shoppers on certain streets or even within particular aisles of a store, the intention is to show in store promotions, further info about the materials used in the garment’s construction, its long-term care instructions or details of any in-store promotional offers it’s part of. The idea even goes so far as to show the consumer a lookbook of ideas for how to style that item once they wave their phone over it. The possibilities are endless and the opportunities for brand communication are equally as huge but the philosophy on how necessary such an invasive technology is during a time when consumer are already so bombarded with advertising blatant and non. As a species is it even needed? But as is the case with most developing technologies, whether we need it or not, it's coming. VR Models/Digital Avatars. Whilst the advent of supermodels- and their counter parts (the rich daughters and sisters of those who made it pop back in the day) are engrossing to look at, the practical need for the average model might be numbered. With a little programming Hollywood-style motion-capture equipment, digital avatars can be “dressed” in whatever clothing the programmers desire, resulting in a computer-generated fashion model with all the movement and appearances of the real thing. Imagine the speed that Fashion Nova can release marketing for products that were just seen an hour ago without the admin of having to go through a whole photoshoot! We are living in a time of fast fashion but we are moving into a mode of instant fashion faster than you think. There are no limits to what VR Models can do, from virtual ad campaigns to virtual models adjust to your exact body type to virtually 'try on' clothing online to virtual fashion shows that will eradicate the expensive habit and broadcast the brand to reaches far further than a physical one can. The possibilities of technology show us how ecological it really is in our culture. Fashion weeks are such a major part of fashion culture, the loss of it can only mean a major shift in the culture. Not to mention model culture. Textiles. Lets start with the most basic yet 'revolutionary' of them all. 3D printing. 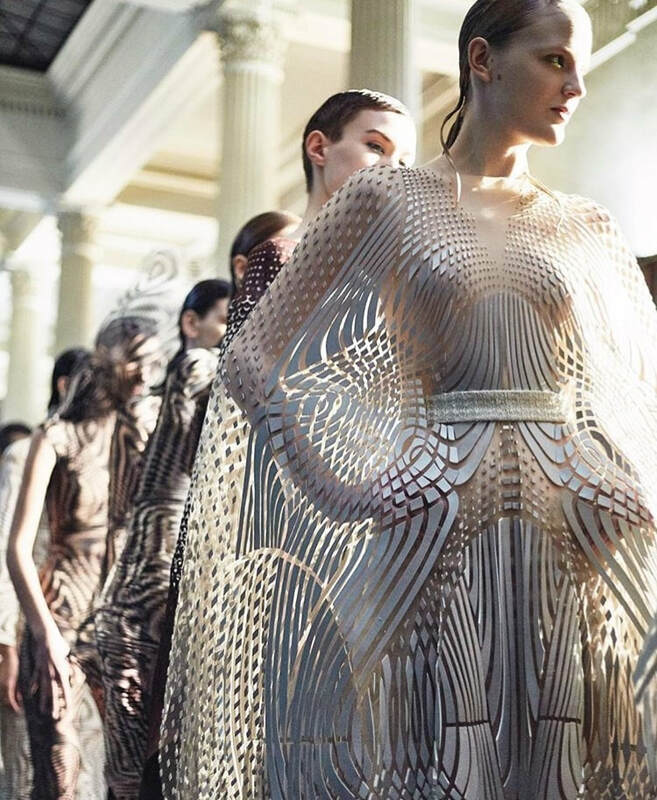 While designers like Iris Van Herpen and Dita von Teese have reached into the highest corners of their imaginations to think of new forms and. ways to redesign to female silhouette, the practical and retail applications have not fully been realised. Nike has taken to using it to improve the their footwear while Pringle has used it show effectively traditional and hyper-modern manufacturing processes can combine in one remarkably normal end-product. The opportunities for mass retail manufacturers seem unrealised or perhaps the technology in a South African context is unaccessible. Even so, there is no doubt that we will all own something blue, borrowed and printed in the near future. Advances in photochromatic technology equate to some intriguing possibilities for fabrics that changes color in reaction to a specific environment. Self healing fabrics are patrolled for a more practical use and their applications to fashion seem quite practical aswell but I though the idea was as intriguing as the idea of retailing a purple and blue and orange dress to a mass market. Developments in textiles are patrolled by many different fields but the certainty is that they can and will, all somehow be applied fashionably. Written by: Kiara Danielle Pather in August 2018.